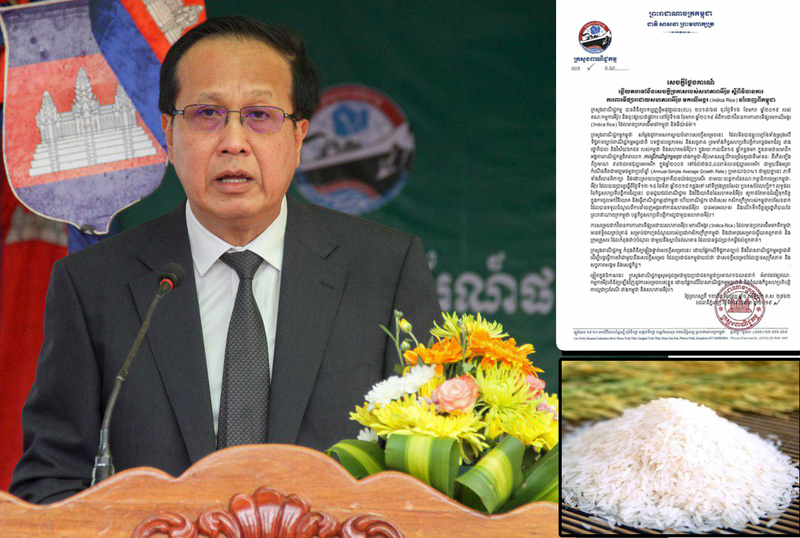 Phnom Penh (FN), Jan. 18 - The Ministry of Commerce has expressed regret over EU’s imposed tariff on Cambodian rice; and considered the measure “a weapon to kill Cambodian farmers”. The ministry announced to protest against the decision in accordance with international legal and trade rules, according to the ministry’s press release dated Thursday. The Ministry of Commerce said that the EU's decision on 17 January 2019 did not fully reflect international trade rules, technical standards, truth, and good relations and cooperation between Cambodia and EU. The statement emphasized that the EU’s decision will murder Cambodian farmers and families in debt of credit institutions. “The decision to introduce EU market protections on Indica Rice originating from Cambodia has the effect of depriving Cambodian farmers' income and forcing them to commit suicide," the statement said. He and his family are in debt with credit institutions who have given them loans. " 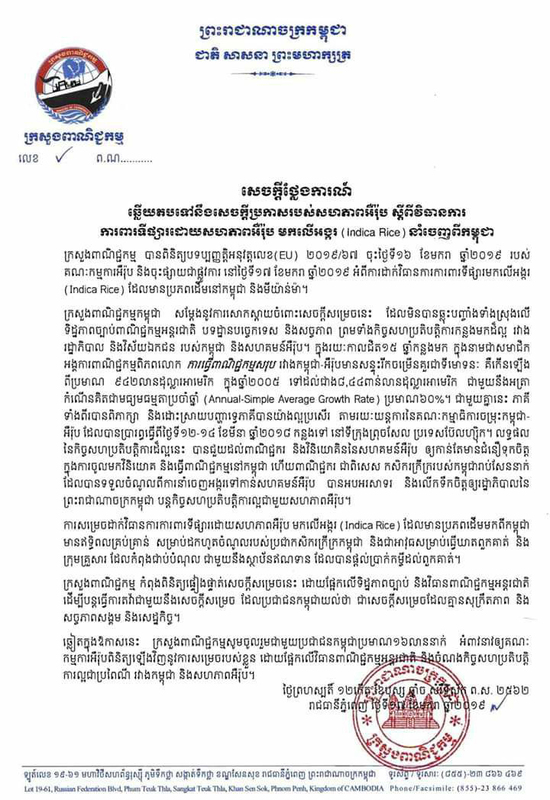 In the statement, the ministry also confirmed that it is reviewing the decision based on legal aspects and international trade rules to continue pleading with the decision that the people of Cambodia felt unjustifiable. The Ministry of Commerce has also called on the European Commission to review its decision on the basis of international trade rules and good traditional cooperation between Cambodia and the European Union.